The Soul of A is composed of theater, music and dance, meant for everyone from 10 years old. Before and after the perfomances, the artists of A work directly with the audience, organizing workshops and discussions about the content and the form of the show. Support the creation of The Soul of A ! This is the story of a the gang of A . A gang of kids who have been living in the big building called A since they were born. But soon, A is going to be blown up. The kids and theirs families had to move but the children came back and found a way to enter the empty A. Inside, they meet "a weird guy". He says he is every windows and every walls and every angers and every laughs and every stories which happen in A. He says he is the soul of A. This is a play about the lost, the end and what to do with. How to keep going on, how to grow up. This is a play about the importance to pass the stories and the History to one another, the importance to live together, the importance to speak and tell about what you think, what you feel. "I was 15 when I met The Soul of A. What a funny and sad play to me. It made me think about strong topics to the young girl I was at this point: the questions, the sadness, the anger that you feel in front of the lost, the end. Why can't we pretend to the eternity? No choice, we have to admit it, it means growing up. Not that easy. I read the play several times and then I saved it in my library and in a corner of my head. Ten years later, La Compagnie du balcon was working with about twenty kids at the EMD (art school) of Cluses. La Compagnie du Balcon was looking for a play which could suit to actors from 7 to 14 years old. We were also looking for a play we could use to work on chorus. I immediatly thought about my old friend A . All along the 2010/2011 season, we worked on this text with the kids and teens. These young people were seeing the play as I was when I first met The soul of A . The way they were understanding the story, theirs comments, often very simple and also very accurate and relevant, made me realise how right and powerfull the impact of the play was. In the same time, the young adult I am now, was looking at this text with a different eye, considering more of our time, our actual society and our History. From this combo kids/teen/young adult is born a very deep wish to create The Soul of A with the professionnal artists of the company. We are truly sorry for foreign benefactors, this deduction operation is only national, but the gifts of thanks from La Compagnie du Balcon are for benefactors of every nationalities ! 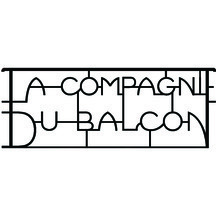 La Compagnie du Balcon is a theater and music company created in 2007. Moreover our creation and perfomance work with professional artists, we are really involved in the work about and with the audiences. The audience shouldn't be passive watching a performance. The audience has to be active, especially in the live perfoming arts shows. As audience, we have to receive and then to create our own way in the show, this is our job. There is the objectif of the workshops and discussions the artists of the company organize around the perfomances: to help to go further on this way of beeing an active audience. We also considere a lot where we play. We love performing in places of history heritage, very old or more recent. The first years, la Compagnie du Balcon worked on tales, the basics of story. This work was a very nice opportunity to explore the link between words and music. A very essential work for us. Today, thanks to these past experiences, we are glad to create The Soul of A by Philippe Martone: stories shoot up from the walls of a building soon disappeared, stories that we need to listen to and keep telling, stories which ask questions about the human being, about our time and our memory. Deeply involved, as a young compagny and as human beings actors of our personal and social lives, we are really happy to bring this play on stage. Let's keep a lucid eye about the way our world goes, let's bring our humour and our enthusiasm in the way it flies, let's try to turn with it, with life! 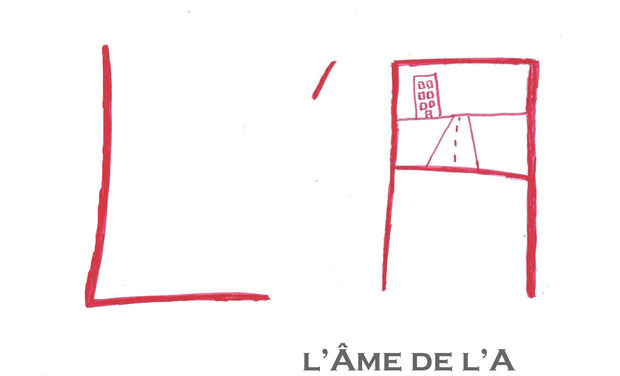 The project is co-produced par the ACC (Cultural Center) of Cluses. Your name on the website of La Compagnie du balcon, on the aknowledgments page. votre nom à la page des remerciements sur le site de la compagnie + le CD de la création 2011 de la compagnie du Balcon: Le Banquet de Babel, Trois contes de différentes contrées ou Comment le monde, la mort et l'amour sont nés?